Our lady in Italia: Vixen Valentine chats with Dixie Ramone of Caput Mundi International Burlesque Festival. 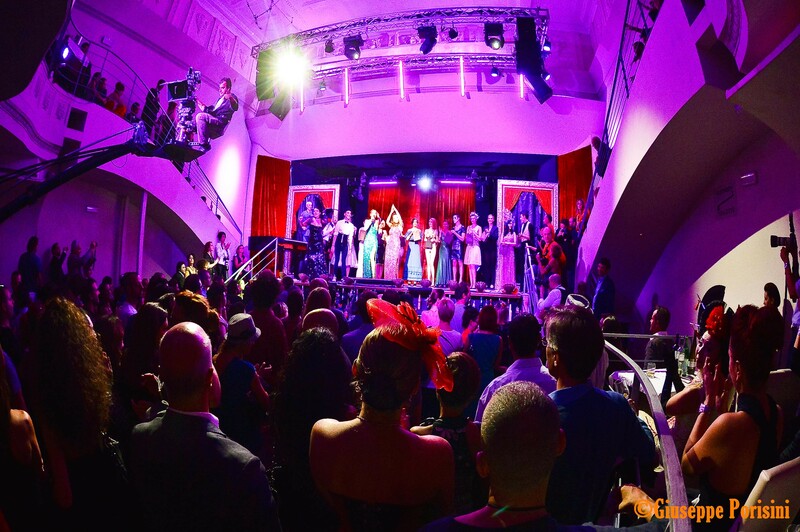 Last November, the first Caput Mundi International Burlesque Festival was launched at the Teatro Centrale Carlsberg in the heart of Rome. With two nights of burlesque entertainment from not only around Italy but also Europe, burlesque enthusiasts saw an eclectic array of burlesque routines that always ended in a lively dance party. I was able to catch up with Dixie Ramone, one half of the production team known as The Missunderstanding (along with Albadoro Gala), who produced the event, to get her take on burlesque in Italy and the inspiration for the Caput Mundi International Burlesque Festival. Vixen Valentine: How long have you been performing and producing burlesque? Dixie Ramone: I have started in 2009, mostly at the Micca Club in Rome, I’m among the very first performers to appear in Italy. Albadoro has a more recent start, 2011. We have basically started big together, with the 2013 edition of the Caput Mundi International Burlesque Award, although both of us have been involved in teams that produce events. Vixen: What first attracted you to burlesque? Dixie: I always wanted to be a dancer, my dream was to be in Broadway shows but to do that I should have moved to New York when I was young and I basically didn’t have the guts. Nevertheless I have never given up on dancing and I’ve been in a contemporary dance company, I’ve done shows with some groups of African dance and at some point I was working as a belly dancer. Tired of having to deal with club owners, I was looking for new inspiration and you know when they say “things always happen for a reason”… I saw by chance my first burlesque show and I fell in love straight away! I thought: this could be it, I can totally do this! Vixen: What was the first burlesque show you ever saw? Dixie: It was in 2008 at the Micca Club in Rome. It really blew my mind. Vixen: I understand that this was the first year of the International Burlesque Festival. What inspired you to produce the show? Dixie: There were many reasons why I had been thinking about producing a festival in Rome. I travel a lot and I take part in festivals all over the globe, I was always mad back home because I knew we were lacking something. So I thought: it should be me to bring this to the city where I work and live. Rome is a capital but not an international city, the way I expect an international city to be. Especially in the burlesque scene we need more ‘internationality’. This was another reason why I wanted to have as many foreign performers as possible. And also, traveling a lot I’ve been making a lot of friends and I’ve been helped greatly in this work, I feel I want to pay back in the same way, I want to be able to invite my colleagues to Rome, because it is a beautiful city. I’m quite experienced and I felt I was the right person to undertake this mission, I want to contribute in the growth of the burlesque community in Rome and in Italy in general and maybe this was the main reason. I’d like the Caput Mundi International Burlesque Award to be an yearly appointment for the Italian and the European burlesque community, that will put Italy on the same level as many other cities in the world. The cooperation with Albadoro Gala, that gave life to the duo The Missunderstanding, proved successful given the extreme different personalities and skills of the two of us. Vixen: What was the highlight for you over the weekend? 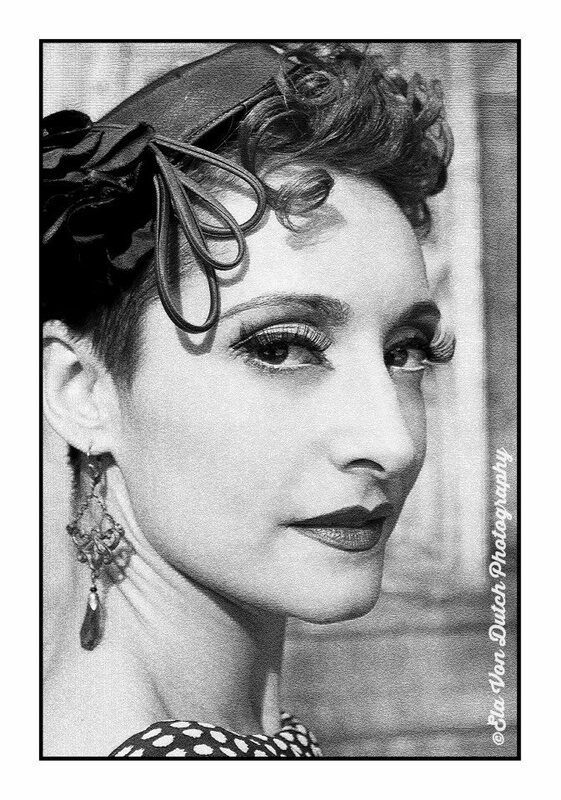 Dixie: Having The Reigning Queen of Burlesque for the first time in Italy was a highlight. I guess in general the quality and the fact that we tried to have artists with different styles was of key importance, because I wanted to show Rome that burlesque can have various faces. From the point of view of the artists, we tried to provide as much comfort as possible. So there was a troupe that filmed the whole festival in super high quality and all the performers got a high quality video of their show and they were all put in a hostel that was not far from the venue, and this helped making connections stronger and made their lives easier while in Rome. Vixen: What was a challenge you overcame to produce the festival? Dixie: The whole thing was a challenge for me, since it was the first event I have ever organized! and I must say I started really well! Vixen: Do you find the burlesque scene in Italy different from the United States and if so, how? Vixen: What is your favorite part of producing and performing in Rome? Dixie: Performing in Rome is not my favorite generally speaking, neither is it performing in Italy. I’d rather travel to new places. Anyway what I liked about producing in Rome is the thrill and the adrenaline of knowing that I’m trying to do something new that I’m sure people need but that might be a complete disaster for all sorts of reasons. I like to produce and invite foreign artists to Rome because I enjoy seeing the way they react when they are there, it is very useful to me to know their feedback about the shows and the audience here. Vixen: What is your burlesque goal for 2014? Dixie: My burlesque goal for 2014 is to produce the second edition of the Caput Mundi International Burlesque Festival, trying not to lose money from my own pocket this time 🙂 My other goal is to keep traveling which I’m being quite successful in, since I started the year with a fantastic trip to New York and my beloved New Orleans. I’d like to keep on traveling and performing and teaching and to produce other shows in Rome. Another big dream is to be part of a big show or maybe create one…why not?! ~ by angrytruffle on 04/06/2014.